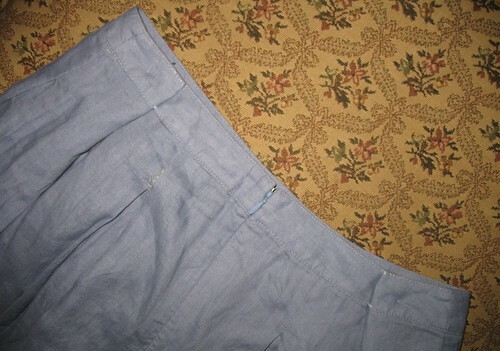 So today I spent a bit o’ time altering this beautiful linen skirt. It was originally $99 at Talbots, but I thrifted it for only $15! The moment I tried it on I fell in love with the shape and the feel of the fabric. The one problem was that it was several inches too big in the waist. In order to tailor it I just “accordion-ed” the waist in two areas, sewed it by hand, and voila! It fits great. Very easy and you can barely tell an alteration was made. The fact that I attempted to do it symmetrically also helps to hide the fact that an alteration occurred. I mean, it’s not perfection, but unless someone has their nose pressed against my lower back, in which case I think I have other things to worry about, I think that this skirts secret will be safe with me. 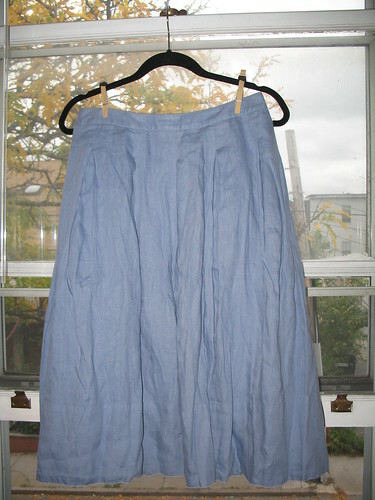 Earlier this week I also altered this ESPRIT button wrap skirt that I scored for $3 at Salvation Army. 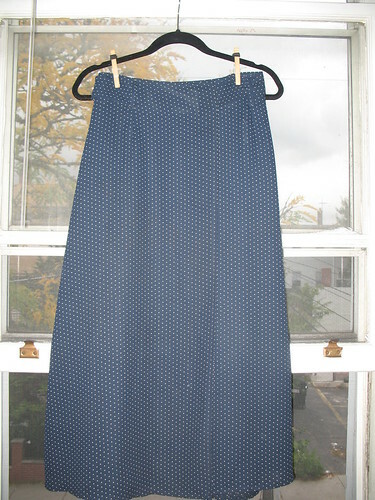 Wrap skirts are the easiest to alter because all you have to do is move the buttons, and sewing buttons is a cinch. So basically, one piece of thrifting advice I have (which I am sure has been said before) is that if the skirts too big, but it’s a good price and you love it, buy it! 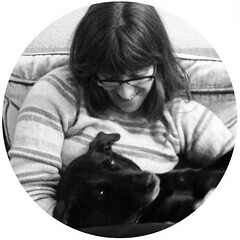 I am not a world champion sew-er, but these tiny alterations are not so hard to make. 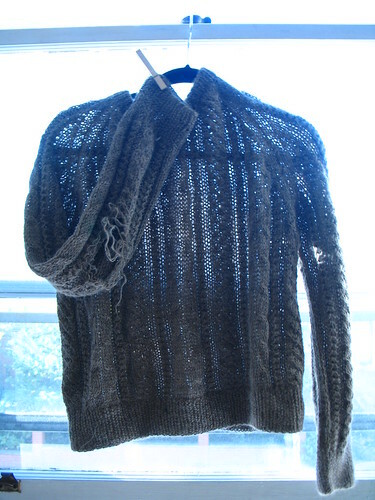 My next sewing project is to mend this sweater. All I need is to find some very distinguished elbow patches.